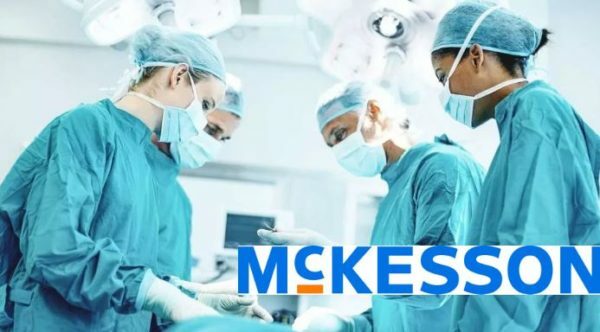 McKesson Medical-Surgical, a division of McKesson Corporation and currently ranked 5th on the FORTUNE 500, is a global healthcare services and information technology company, dedicated to offering medical supplies, healthcare solutions, distribution services and clinical resources. The Medical-Surgical unit of McKesson works with payers, hospitals, physician offices, pharmacies, pharmaceutical companies and others across the spectrum of care to build healthier organizations that deliver better care to patients in every setting. From bandages to exam tables, the company’s catalog includes more than 180,000 national brand products along with their own line of high-quality products. The industry’s continuous and rapid expansion of products, services and solutions creates an ever-growing number of offerings for McKesson to distribute, and a constant increase in demand. Meeting these everyday challenges and preparing themselves for tomorrow’s tasks, is one of the prime focuses of the company. This strategy allows McKesson to help their customers, including more than 200,000 drug stores, retail chains and healthcare facilities, operate their businesses with the highest possible quality, safety and efficiency. The company’s continuous and rapid expansion of distributed medical products and provided services led to high labor costs, long document preparation, distribution time and accuracy issues. A new solution had to modernize the production environment, reduce document processing time and costs and ensure regulatory compliance while replacing legacy systems. Transparent migration of document templates from multiple legacy form and document software systems to one modern Oracle validated integration solution on Oracle’s JD Edwards EnterpriseOne. Reduced template maintenance time by approximately 50% using intelligent automated template design and smart logic. Created a single point of document template management to ensure accuracy and regulatory compliance in all distribution locations.Improved performance of document generation processes by using a modern solution with an installation on a separate server, that does not slow down the business systems at peak times. Ensured Integration Without Modification™ with the McKesson’s business and medical information systems, i.e. no change orders to the existing business software. -Improved document design and brand integrity in all medical and surgical related document types, such as shipping documents, reports, invoices, bills, labels, picking and packing slips, statements, reports and more.